These days too many people maintain their health by relying on doctors and medicine, rather than following a healthy lifestyle.To what extent do you agree with this statement? IELTS essay sample – These days too many people maintain their health by relying on doctors and medicine, rather than following a healthy lifestyle.To what extent do you agree with this statement? Health can be maintained in many different ways, in some cultures, it becomes a lifestyle with the practice of Taichi or Yoga. Modern man goes to a doctor to keep fit and takes artificial vitamin supplements to stay fit. A healthy lifestyle can be defined as physical and mental well being while doing activities that maintain good health. Nowadays, people are getting increasingly conscious of their life style. They aspire to be healthy but there are many reasons why some people cannot remain healthy and then seek the advice of a doctor. People work long hours, often sitting in one place without much movement. Some people are so busy with their work that they skip meals or breakfast. A majority of people do any physical exercise because they can’t find time or are extremely tired. On the other hand there are many people who are obese because of overeating and doing no physical activity, so they turn to medicines and doctors. To sum up, there are many incentives to just use medicines and instant fixes to remain healthy rather than doing tedious healthy activities. It’s easier to get fatty fast food than fruit and vegetables in meals. It’s easier to pop a pill than find and eat different natural food. There is also the economic benefit as less healthy food is cheaper than healthy natural alternatives.For all these reasons people tend to use medicines and visit doctors instead of eating healthy and doing healthy activities. How to write on this IELTS writing task 2 topic? Topic- These days too many people maintain their health by relying on doctors and medicine, rather than following a healthy lifestyle.To what extent do you agree with this statement? What activities do people do to stay healthy? Why do people rely on medicines and doctors to stay fit? – People do not eat healthy, they work sitting in one place for many hours at a time so they easily get sick. – It is convenient to use preventive medicines and supplements as they have become more affordable. – People dont have time for sports and physical exercises. – State your position – you could say there are more disadvantages or advantages. Use “although, eventhough” to highlight problems and benefits. Write your conclusion with a statement which use superlatives or other strong phrases to highlight your opinion. Because of falling birth rates and better healthcare, the world’s population is getting steadily older and this trend is going to cause serious problems for society. IELTS sample essay – Because of falling birth rates and better healthcare, the world’s population is getting steadily older and this trend is going to cause serious problems for society. Improved healthcare combined with declining birth rates are causing an increase in the number of older people in the world. While this phenomenon is true in some parts of the world like Japan and some European countries, there are many places in the world where the population is actually getting younger as in India, Sub-Saharan Africa and Latin America. If the world’s population gets older there could be a lot of problems for the countries that are going through this growth. As people age they stop working and need financial and physical support. If the majority of a country’s population is retired then it could become a huge burden on the state to maintain the older populations on pensions and social support. This trend is evident in Japan and could become a reality in China in the near future. The competitive edge that these economies had would greatly reduce and could spark mass migration from other countries to fill the vacancies. Public health could be stretched because of high demand from older people who tend to fall sick. This trend could be a short term issue as the older generations are replaced by younger ones the situation would become more balanced. With rapid improvement in technology, older people may not be such a problem. The truth of the matter is that ageing society is not really a problem. On the contrary the world is getting younger as the rate of population growth is swiftly replacing generations. In India and China the growth of population is either steady or increasing. More and more young people are born and far outnumber the older population. Pollution, wars and other man made problems are keeping a check on longevity of human life. On the whole ageing population is not really a problem it is a temporary phase which can be effectively dealt with by the countries that face such an issue. Topic- Because of falling birth rates and better healthcare, the world’s population is getting steadily older and this trend is going to cause serious problems for society. Are birth rates falling all over the world? You could answer this question with a yes it is stress or no it isn’t. Give resons. – cost of living is high so they need to work longer and cannot spend much time with the spouse. Are there more older people because of better healthcare? – many ailments which were incurable are now easy to cure. Are there more problems to the society ? City living in 21st century is stressful and offers no advantages, to what extent do you agree or disagree with this statement? Living in large cities can be quite stressful especially in the 21st century. Cities can get over crowded, polluted and lack green spaces. This is largely due to increasing population of cities all over the world. There could be some advantages of living in cities particularly if the countryside lacks infrastructure and economic opportunities. People usually move to urban areas to find jobs and access better facilities. Nowadays that has changed significantly, as more and more people settle there is a tremendous burden on the fragile transport systems, public utilities and housing. In some cities of Asia like Ho chi minh, Mumbai and Manila the quality of life is worse than smaller towns and villages. The level of air pollution in Chinese cities is causing health problems for the people. It has become very stressful to live in a large city. The benefits have eroded and there is less comfort. It is more of a struggle than an advantage. This scenario is true in not just the third world but also in the first world. It is not very different in New York city or London. There are other problems for city residents as well. Urban crime is on the rise, the safety of city dwellers is at a risk. There is widespread urban poverty due to unemployment and migration. If city living is compared to rural life, the later would seem extremely attractive. That is because many villages and small towns offer good environment, peaceful neighborhoods and good basic facilities although there may not be high paying jobs. Overall, the benefits of living away from cities outweighs those of living in large cities. How to write on this topic? Topic- City living in 21st century is stressful and offers no advantages, to what extent do you agree or disagree with this statement? Is living in a city stressful? Why or why not? You could answer this question with a yes it is stressful or no it isn’t. Give reasons. – too many people living in cities, so there are traffic jams and a lot of time is spent going from one place to another. Are there any advantages of city living? Are there more problems than advantages? Use “although, even though” to highlight problems and benefits. Write your conclusion with a statement which uses superlative or other strong phrases to highlight your opinion. In many countries there is a shortage of suitable people for essential jobs. What do you think are the causes of this problem and what measures could be taken to solve it? Use this sample IELTS essay and download the worksheet below to prepare your own answer. Skilled professionals are always in demand. The right person for the right job is difficult to find. With ever changing technology, and the type of jobs offered are often not relevant to the skills and education that people get. There are many reasons for the shortage of suitable people for essential jobs such as lack of essential technical skills, poor quality of education and lesser number of people with specializations. Traditionally people with some basic education often don’t upgrade their skill sets to match the requirements of employers. There is also the problem of communication in non-English speaking countries where English language is the official language. In countries like India, there is a huge pool of skilled people with poor English language skills which keeps them out of work. To improve the availability of suitably skilled workers, the approach to education at a policy level has to change in order to be relevant to the needs of the job market. People must be encouraged to retrain or up-skill themselves based on the requirements of employers. Many people who are not comfortable with using computers may find it very difficult to secure employment. Computer studies are not taught as a compulsory subjects on an equal footing as Math, English and science. It is no longer a specialization but a fundamental requirement. Governments should take measures to review school curriculum frequently to include any new or relevant subjects. There must be more affordable vocational schools that can provide essential skills to those who need them. Carpentry has been a subject taught at some trades schools, this subject may have few takers as it has become an obsolete skill, instead there should be mobile application making as a taught skill. Finally, the problem will always be there, one approach to solving this problem of suitable candidates is to have companies that hire to first train their potential employees first and then pick the best out of the trainees. Some suggest that young people should take a job between school and the university. Discuss what advantages and disadvantages might be for people who do this. Give reasons and include relevant examples. 250 words. IELTS essay sample for academic writing task 2 practice. Model answer: band 7-8 – use the worksheet under the sample answer. Working for a while after school and before going to university is a great way to acquire some practical skills and extra cash. Many students rely on their own funds to finance higher education and this could be a pathway. There are many benefits of taking up a job before starting to attend a university. There could be a few disadvantages too. The benefits of employment go beyond mere financial gain and work experience. Jobs teach real life skills such as working with other people, managing time and handling money in a business. It prepares a person for the future. Socially, this could be a time when most young people make lasting friendships too. For some people it could very well be a necessity to earn to pay for a college degree. There are a few drawbacks. Students could use their time to study further and get more academic qualifications. Between school and university may not be the best time to begin a career or get involved in the vicious cycle of life, they have their entire life to work. The biggest drawback is that work could become a huge distraction and chances of continuing to work is far greater than if they don’t take up a job. On the whole, the benefits of working between school an college far outweigh the disadvantages. Working or taking up a job can never be bad. There is more to learn than to lose. Students must be encouraged to find jobs for a while before beginning to study at a university. How to write this topic? To write this topic or any other topic, please look at various statements and words in the question. Some suggest that young people should take a job between school and the university. Discuss what advantages and disadvantages might be for people. Introduction must state your position. Do not write “some suggest” again in the intro, start with the phrase, “young people should take up a job” = youngsters find some work and do a job after school. step one – Why do youngsters work between school and the university? answer to this question can follow the introduction. step two – What are the advantages and disadvantages? List them and state if there are more advantages than disadvantages. step four – write a conclusion – explain why there are more benefits than drawbacks. These days more fathers stay at home and take care of their children while mothers go out to work. What could be the reasons for this? Do you think it is a positive or a negative development? Traditionally, fathers worked while mothers stayed at home to look after children. Gender roles have changed a lot nowadays. Women are no longer confined to cooking and looking after children just as much as men are longer restricted to being the sole breadwinner. Life has become a joint venture for couples where all responsibilities are shared. Several factors contributed to this change. Increasing number of opportunites for women, lesser gender bias and willingness of men to stay at home have all contributed to this. More women are career oriented and are financially capable of taking care of the family without any contribution from the husband or partner. Fixed gender roles are challenged and they are not clearly defined anymore. Other reasons for men to stay at home could be varied. Disability, job-loss, vacation and fatigue could lead to stay at home fathers. This often occurs when the coules have children and one of the parents has to be home. One of them may wish to take a break from their busy careers for the family. On the other hand, many conservative societies still have fixed gender roles where working women are frowned upon. They argue that women are naturally inclined to take care of children and that is how nature intended it to be while men were made to work and provide for the family. So this could be a positive development for women but may not be good for the family as father’s lack the mother’s natural caring instincts. In the long run its a positive development towards gender equality. Conservative: holding to traditional attitudes and values and cautious about change or innovation, typically in relation to politics or religion. Disability: a physical or mental condition that limits a person’s movements, senses, or activities. Computer technologies are more accessible and cheaper, as a result, more adults work at home and children learn at home. Is this a positive or negative development? Computers are integrated into almost every device nowadays. The price of a computer has been falling steadily. They have become so affordable that anyone can afford to buy them. Computer technologies have simplified life for everyone. They have enabled people to work from home or anywhere. Learning is no longer restricted to classrooms, there is more to learn online than from any classroom. The meaning of computer technologies is no longer limited to personal computers like desktops and laptops. The technology is in phones, medical equipment, cars, houses and just about everywhere. The advent of computers has ushered in an era of remote workplaces, markets, medicine and learning. Many large companies allow employees to work from home as they could do everything they need to without going to the office physically. The most inaccessible places are now connected to the information superhighway. Computers have created a virtual world that is transforming human life profoundly. Much good came out of the development of this technology. In the future unimaginable things can be made possible by computers. People could be relieved from all manual, tedious work and focus on more productive and higher functions. There may be unintended consequences of the accessibility of computer technology. The use of information technology for criminal activity is a side effect. Counterfeiting and identity theft has become more prevalent due to easy availability of computers. Overall benefits of computers outweighs the drawbacks. Without this technology modern living as we know it would come to a standstill. Computers keep us safe, they protect us, work for us and help enhance our lives. It is one of the greatest inventions ever that has positively served humanity. How to write this essay on easy accessibility of computer technology? Step one: Understand the statement / question. Computer technologies are more accessible and cheaper. Is it true that computer technologies are readily available – write about how accessible they have become. Introduction must have your opinion so you can develop the topic further. Step two: Develop the topic further. Write how computers have been useful. Step three : Give relevant examples and any personal ones that you have experienced. Vocabulary related to the essay topic. 1. Remote – (of a place) situated far from the main centers of population; distant. synonyms: faraway, distant, far, far off, far removed. 2. Tedious – Tiring, boring, dull, monotonous, repetitive, unrelieved, unvaried, uneventful. Some people say that mobile phones should be banned in public places such as libraries, shops and public transport. Do you agree or disagree? Sample answer to the latest IELTS writing task 2 question in Feb 2015. Mobile phones have become an essential part of life. Although they are very useful, they could be quite an irritant in public places if they kept ringing. Much has changed in the recent past mobiles phones have turned into smart phones which means that they are not used only as phones anymore. They should not be banned in public places as they do not disturb others. In the past feature phones were used and they could not be customized to vibrate or be silent when there was a call. Nowadays, the general mindset of people and the government is to encourage the use of mobile phones everywhere including public places for various reasons. A mobile phone today is a bank, a camera, source of news, a mini computer and the main tool for communication. They are used to connect to internet and perform many everyday chores like shopping and sometime even work is done over the phone. They connect to the internet through a Wi-Fi network. Wifi networks are like airwaves or signals to a TV. They deliver the internet to phones. Wifi can be accessed from public places including libraries, transport, cafe’s and shops, this is done to promote the use of mobile phones in public places. 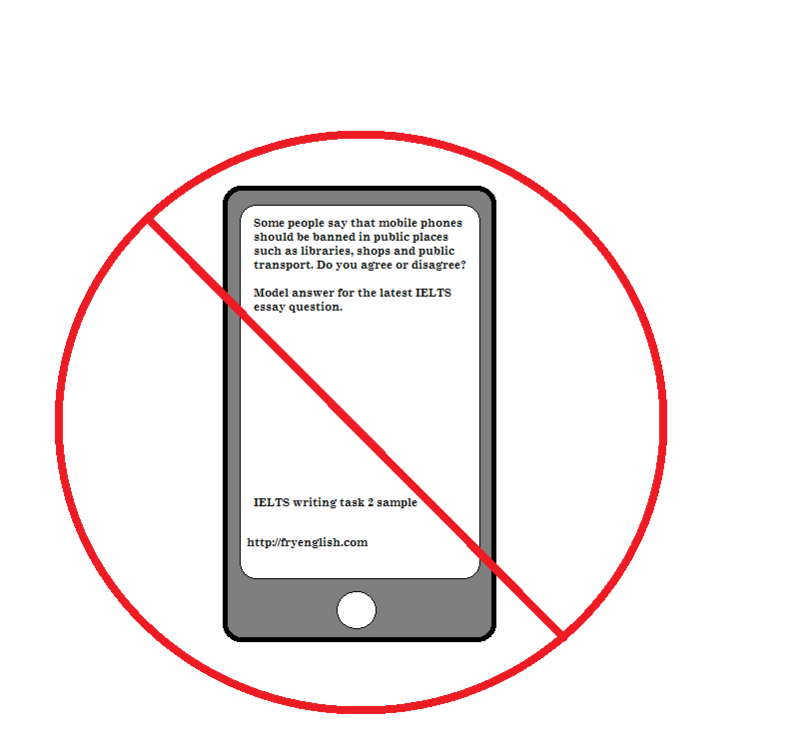 If at all a mobile phone in a public area is a potential problem for any reason then a sign or a public notice asking users to keep their phones in silent mode can be displayed. To summarize, banning or restricting the use of mobile phones is counter productive and does not achieve any meaningful purpose. On the contrary, a place that restricts use of a mobile phone has few takers these days. The most important fact is that network through mobiles is as essential as air to breathe, water to drink, shelter or clothes for protection from the elements. Banning or restricting mobile phones must not even be considered since it does not harm anybody and there really is no valid reason to do restrict their use. Step 2: Give your opinion – if you agree, then support banning the and if you disagree then give reasons. Step 3: Write your introduction with your opinion. step 4 : develop the topic – expand your reasons and give a perspective with examples. ” Nowadays, the general mindset of people and the government is to encourage the use of mobile phones everywhere including public places for various reasons. A mobile phone today is a bank, a camera, source of news, a mini computer and the main tool for communication. They are used to connect to internet and perform many everyday chores like shopping and sometime even work is done over the phone. They connect to the internet through a Wi-Fi network. 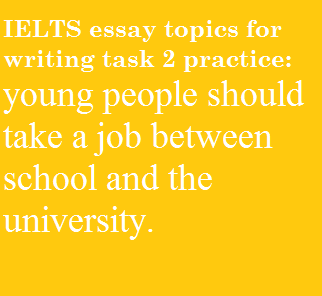 Now try to write this IELTS essay topic in your own words for practice, good luck. There are many different types of music in the world today. Why do we need music? Is the traditional music of a country more important than the international music that is heard everywhere nowadays? 2. Why do we need music? 3. Is traditional music more important than International music? Give your opinion. Yes it is or no it isn’t. Why is traditional music or international music more important? Could they both be equally important? give reasons, develop the topic by writing about the both traditional and international music – what do they mean and where are they heard? give examples and conclude. Model answer is available below. 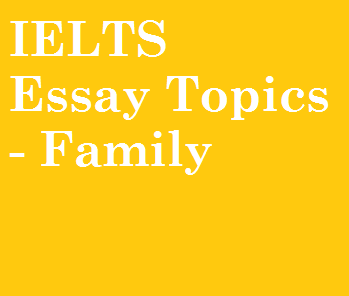 How to write this IELTS essay? Use the 4 step process to prepare for this IELTS essay. Step 1 – write the introduction – restate or paraphrase the topic with your opinion. Step 3 – Give examples from your own experience and a generic one. Step 4 – Assert your view in the conclusion. IELTS 8-9 band Model answer for – There are many different types of music in the world today. Why do we need music? Is the traditional music of a country more important than the international music that is heard everywhere nowadays? Music is classified into different categories based on its origin and sound. Some old forms of music are considered traditional music which might have originated or associated with a particular region. Music is enjoyed by everybody, it is human nature to appreciate music so it is also called “the universal language”. Humans need music for the pleasure of listening to it and also because there are many positive effects or results of listening to music. It is entertainment that has been around since time immemorial, it was used to pass on history, folklore, secret messages and for healing. Many cultures have folk songs with stories in them, while others have certain types of music for certain occasions. Music that becomes popular around the world transcending national borders and linguistic barriers is often called International music. It is one of many genres of music. Due to the advent of technology, music spreads rapidly around the globe. Traditional music that is specific to a particular culture is often perceived to be at odds with international music. Contrary to this belief, international music often gets inspired by traditional music. Music is harmony. There is a complimentary relationship between traditional and international music. Traditional music is important and must be preserved in the same way as antiques and old relics. National interest in traditional music often keeps them alive. There are a number of countries around the world like India, Vietnam, Australia and USA to name a few that actively encourage and protect ethnic and traditional music. The aborigine music from instruments like Didgeridoo is kept alive by tourism and government support in Australia. We are musical societies unlike animals which seemingly don’t have any interest in music or ability to produce it. It is a function of the higher beings. Music is unavoidable, it is in nature and humans enjoy it. Traditional music must be preserved while international music is enjoyed. No genre or type of music can ever be superior to others. The reality is that both traditional and international music are simply different manifestations of the same spirit, therefore they are equally important. what is the opinion expressed in the above model answer? The model IELTS essay suggests that both traditional and international music are equally important. Although IELTS questions ask for an opinion, it is not necessary that you must support just one view stated in the essay question. You may submit your essays in the comments. University students must pay all costs associated with their education, because it benefits mostly them individually, rather than the society as a whole. To what extent do you agree or disagree? Give your opinion. University education benefits the student and the society in the long term. Although, the students directly benefit from it, the fees should be either subsidized or fully paid by the government. This is because the society on the whole would gain from the knowledge and skills of the students. It is clear that higher education can determine the economic status of a country. The burden of paying for the higher education is usually borne by the parents of the students in many parts of the world. This trend is changing as more and more students are paying their own fees and getting scholarships. If the cost of higher education is to be paid solely by the students, then there would be many bright minds losing out on essential education. It is evident that societies that have state sponsored education are more successful than those that don’t. Impoverished countries mainly in south Asia and Africa have long suffered the consequences of not having a well educated work force, especially those who have higher qualifications. Countries that have free education for their students have outperformed those that compel students to pay exhorbitant fees. Germany, Norway, Sweden, Denmark and Finland are a few examples of successful and happy societies where students get state sponsored education. On the otherhand there are countries like Bangladesh, Pakistan and Sudan to name a few that are definitely unhappy nations in many ways. Overall, the benefits of higher education are enjoyed by the society as well as the individual as all students ultimately contribute to the society, therefore the costs of their education must be paid by the governments or other social organizations. Economic growth and development are usually considered to be beneficial both for individuals and for society as a whole. Do the advantages of economic development outweigh the disadvantages? 5 steps to improve IELTS listening score.